Angels of Care > Programs > Angels of Care Pediatric Home Health holds annual drawing for employee to win a new car! Angels of Care Pediatric Home Health is excited to announce that we will be holding our annual car drawing on July 17, 2015 at 2pm. 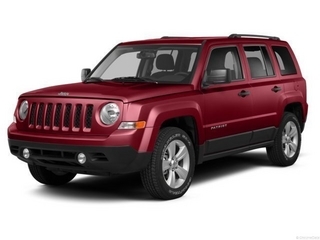 This year one lucky employee will win a brand new Jeep Patriot! All eligible employees will be entered into the drawing. To be eligible you must be employed for 4 months with a full time status, have no late notes and be in good standing with Angels of Care. We invite everyone to come to the Angels of Care corporate location, 8001 US HWY 75, Sherman, TX 75090, Friday July 17th at 2pm to witness the drawing! Angels of Care truly appreciates their employees and is excited to be able to hold this car drawing to show our appreciation.